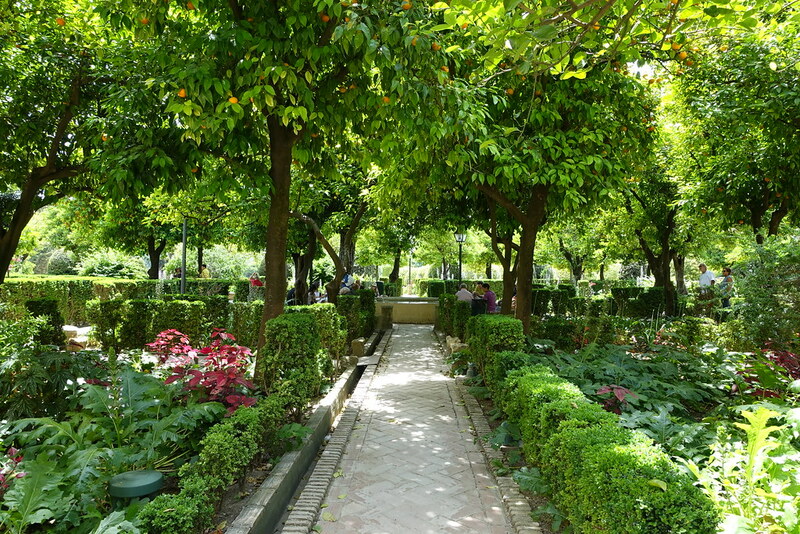 Visiting Cordoba felt like returning to a dream of Andalucia that I didn’t realise I’d had. 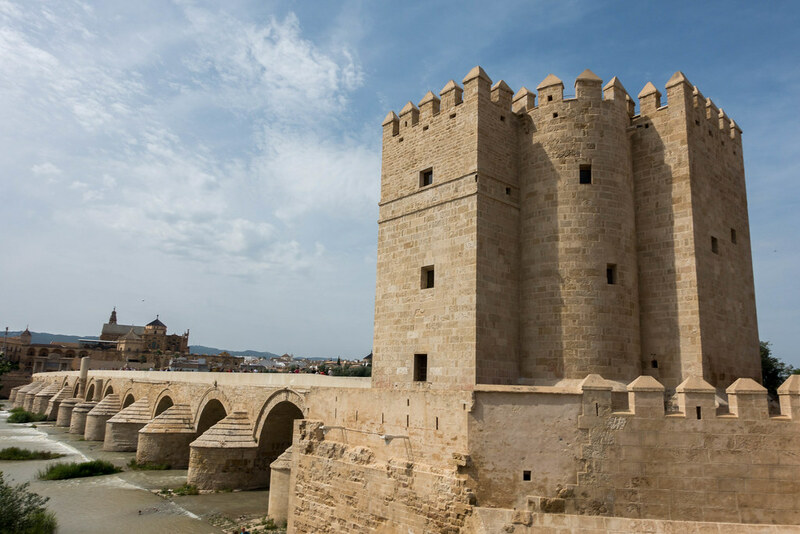 Everything about the Old City, from the bright white houses dressed with flower baskets, to the medieval stone fortresses accented with red and gold, seemed almost too idealistically ‘Spanish’ to be real. 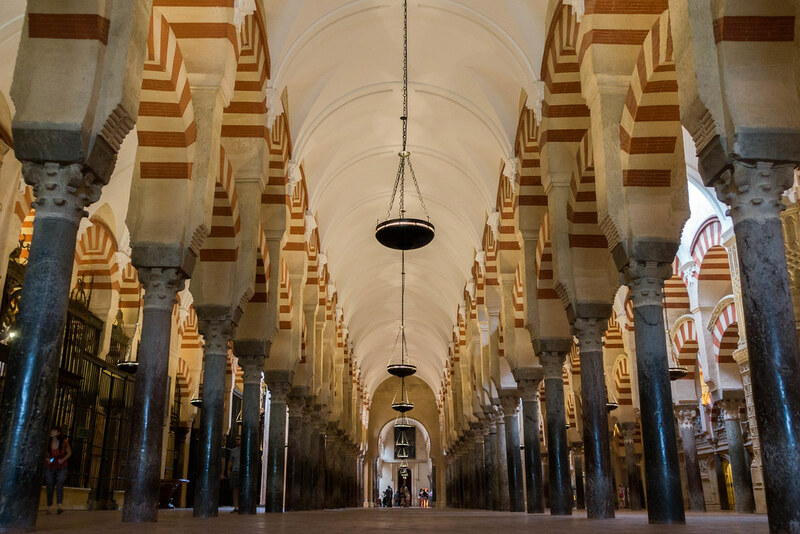 And as for walking beneath the candy-cane arches of the Mezquita, which I’d seen in countless photos, well, that felt surreal. 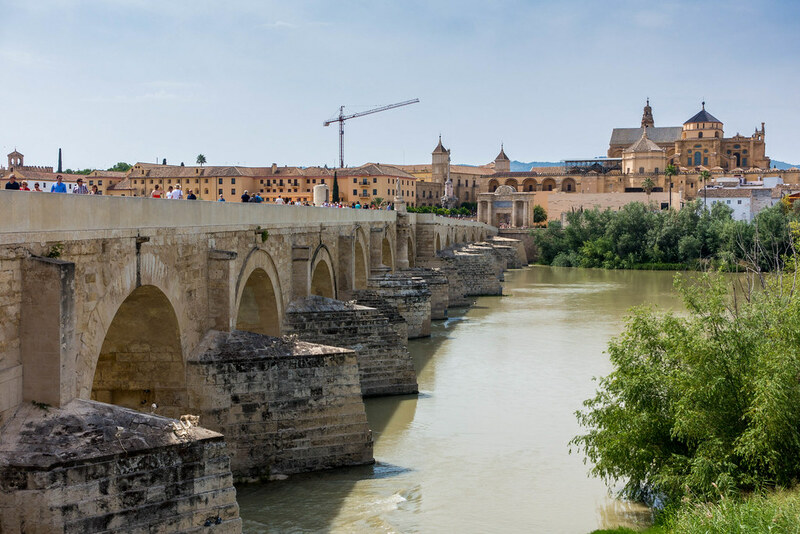 It’s possible to get to Cordoba from Seville in just 45 minutes by train, making it perfect for a day trip (especially as the accommodation options in Cordoba are few and expensive). 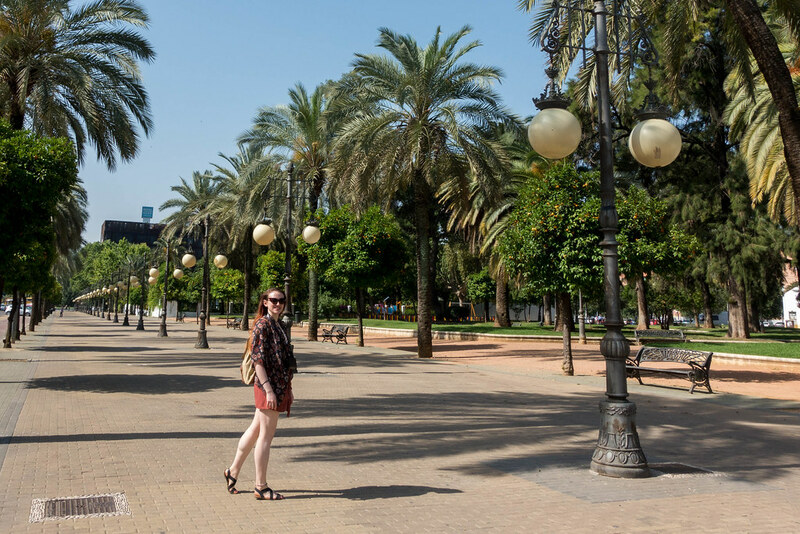 From the train station you can walk to the Old City in 15 minutes through a long avenue of park land comprising the Jardines de la Agricultura and the Jardines de la Victoria. 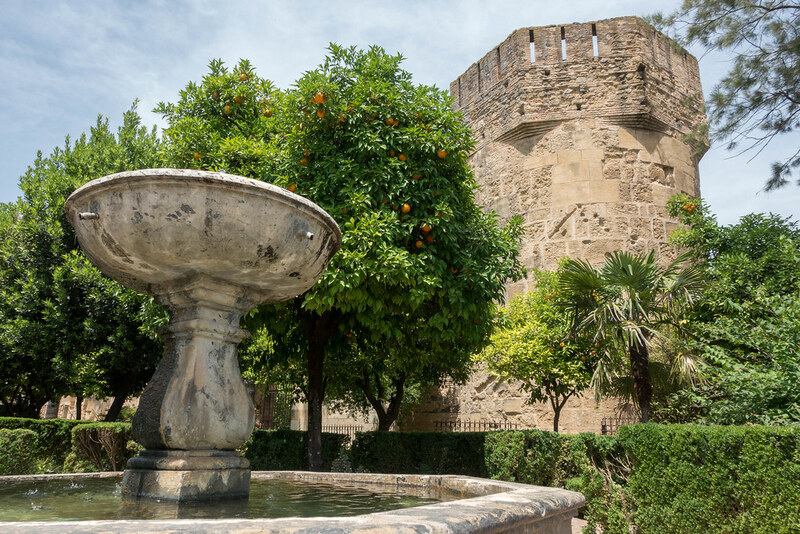 Much of the Old City is encapsulated within ancient city walls, which we entered via the Puerta del Almodovar. 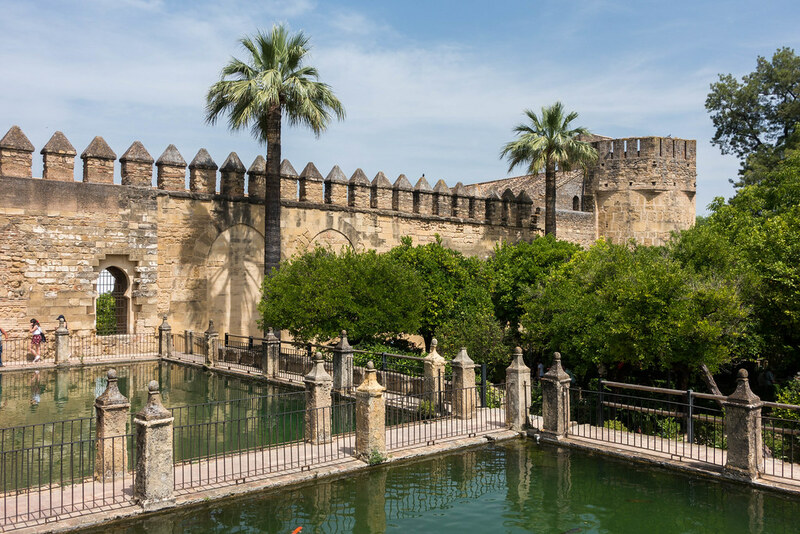 These high stone walls topped with spiked parapets look as if they’re straight out of Game of Thrones. 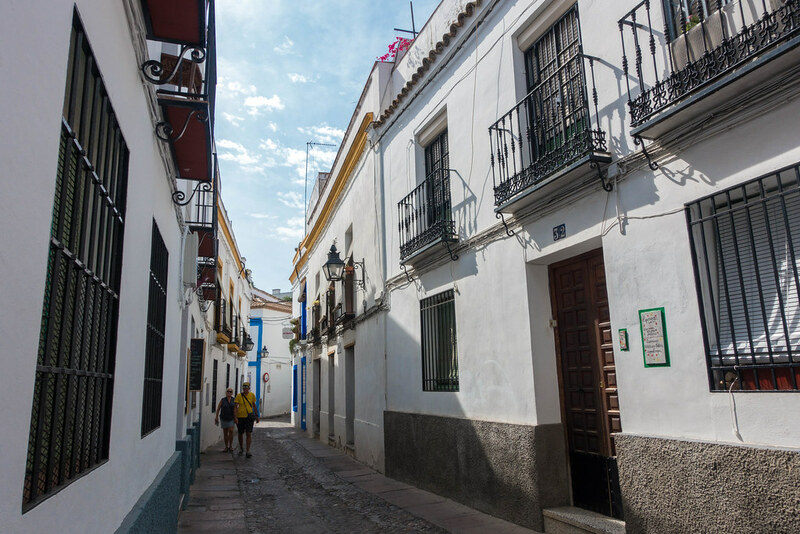 Running between these walls and the white-painted houses opposite is a beautiful avenue of stepped pools and colourful flowerbeds. Pass through the gate and you enter a network of narrow, high-sided alleyways. 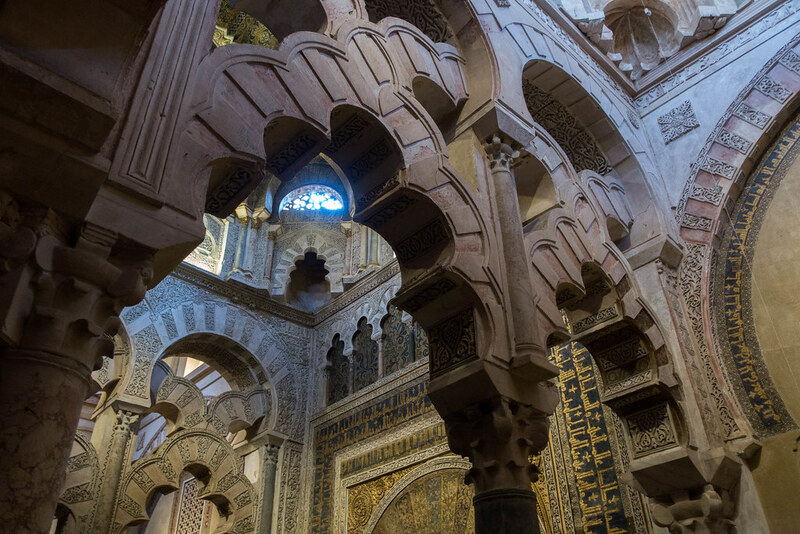 Every now and then you pass an archway leading to a pretty patio, or to the foyer of an old mosque that’s become a museum. 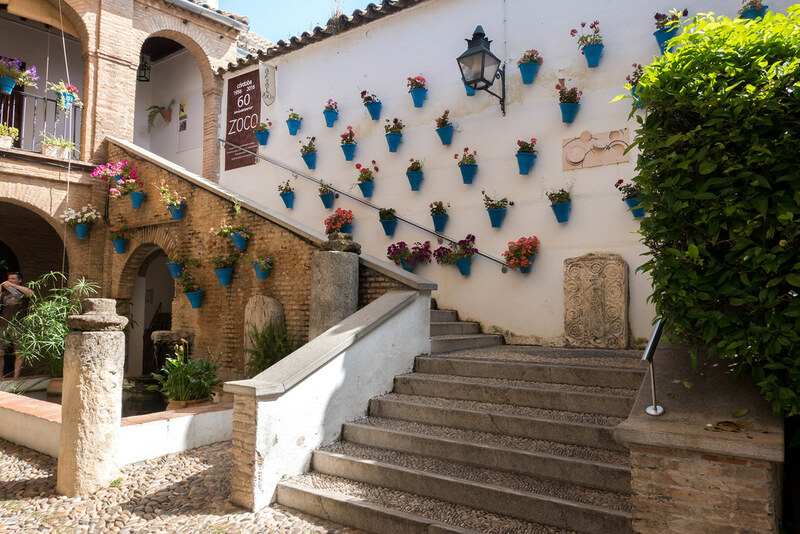 One alleyway led to an open courtyard where one wall was covered with blue flowerpots. 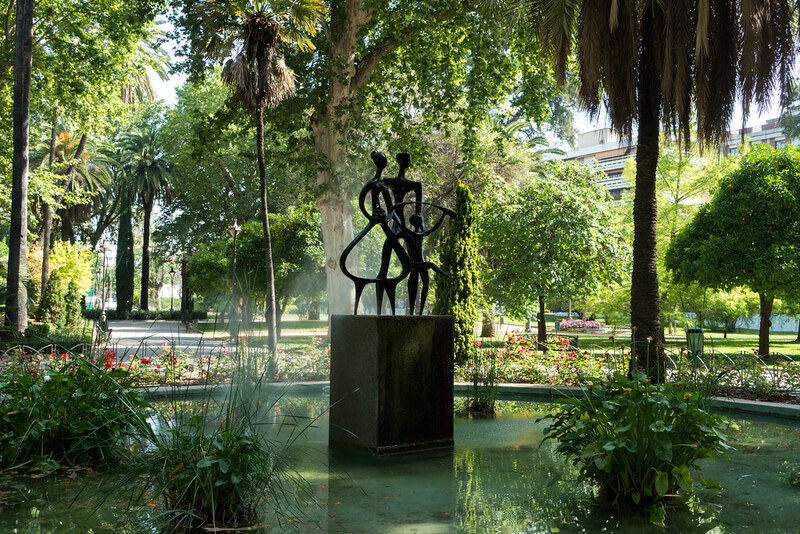 I gathered that this must be part of the springtime Courtyards of Cordoba Festival (Los Patios de Cordoba). 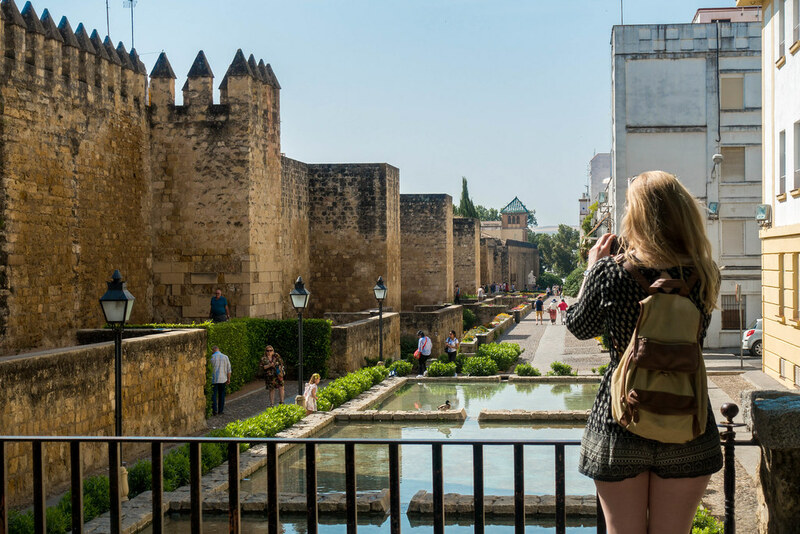 Continue deeper into the Old City and you eventually reach the touristic epicentre of wall-to-wall restaurants and gift shops, full of slight variations on the same attractive but overpriced trinkets. This is where we decided to settle for an early lunch. 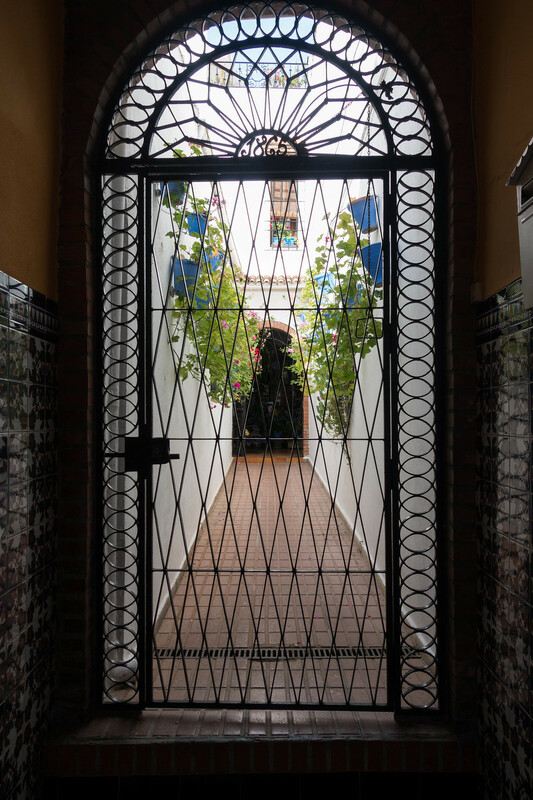 We were drawn to Gourmet Iberico (Patio Romano) by the easy-to-read, tasty-looking menu and the bright and breezy decor, which makes it look like a Cordoban courtyard. We liked so many things off the menu, whose dishes came in a range of sizes from tapa to main course, that we decided to share several things we liked the sound of rather than have a starter and main each. A stand-out dish was the ‘fried eggplant with local cane honey’, which sounded weird but tasted amazing! 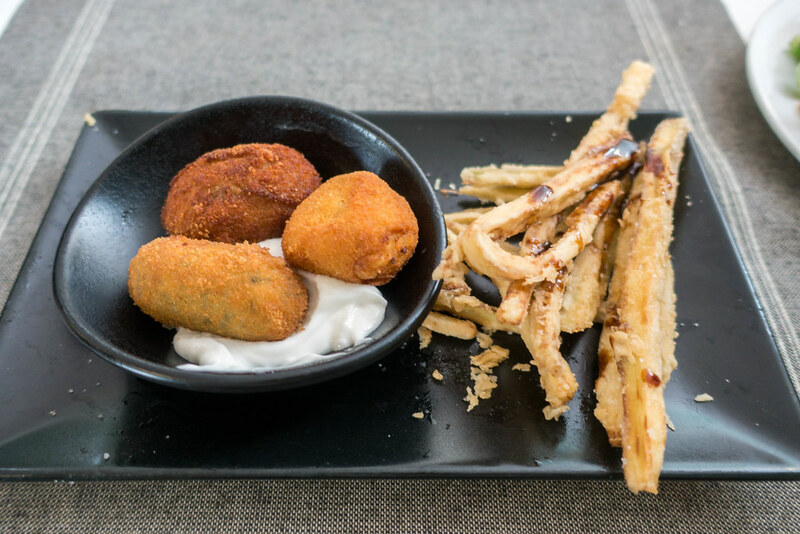 The dark, treacle-like honey complemented the crisp, lightly battered strips of aubergine perfectly. 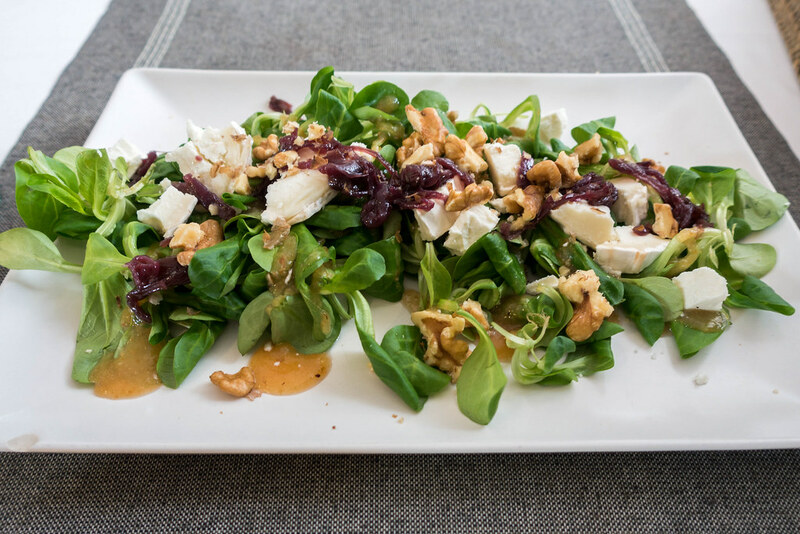 The salad of pea shoots, goats cheese, red onion chutney and walnuts was also surprisingly delicious, marrying the contrasting elements of fresh green leaves, sweet and sticky onions and rich, creamy goats cheese. But the best thing we ate was probably the croquettes, which we ordered as a ‘Tapa’ portion that turned out to be too small. We got three different types of croquette sitting in a creamy garlic mayonnaise, and, although I can’t remember their fillings, I remember each one being incredible: soft, melty, and super flavoursome. 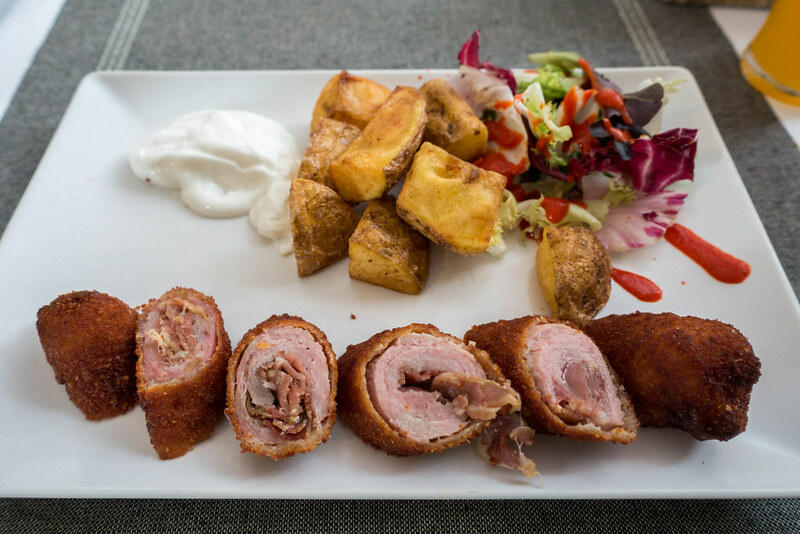 The flamenquin, a traditional Cordoban stuffed pork loin with ham and potatoes, was tasty but a little dry. The scrambled egg with potatoes, green pepper and chorizo was the least nice thing we had, though not unpleasant. We were unfortunately too full to sample the lovely-looking desserts! 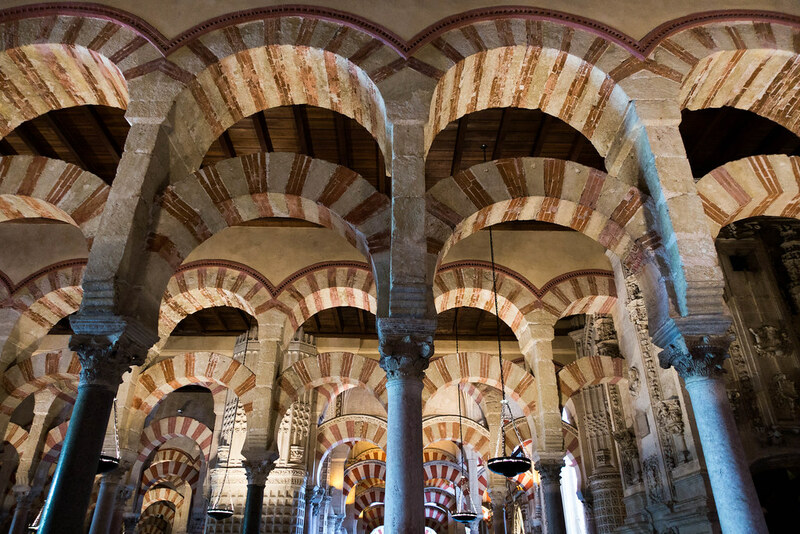 The Mezquita mosque and cathedral is Cordoba’s most famous attraction and it’s clear to see why. Every inch of it is impressive, but its most distinctive feature – its layers upon layers of candy-cane-striped arches – are surely unique in the world. 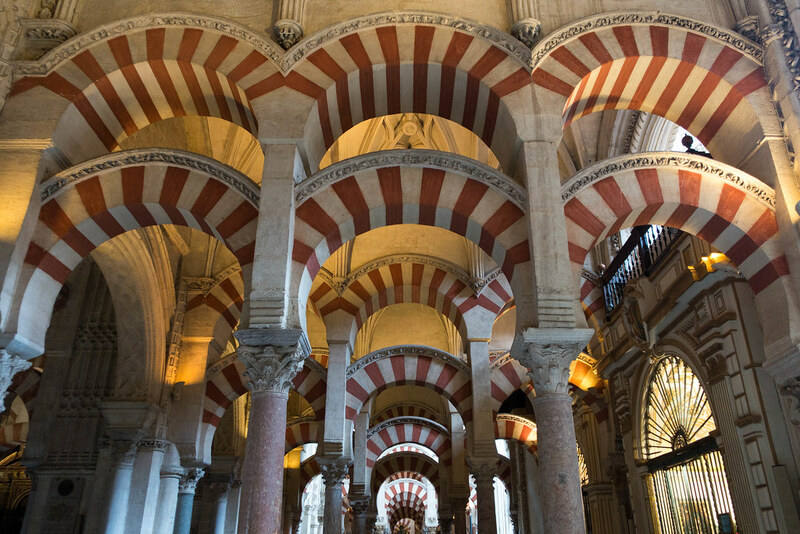 So it was gutting to be told at the ticket office that the Mezquita was shutting early that day. Thankfully, the 45 minutes we had there were just enough to take it all in, minus the tower. 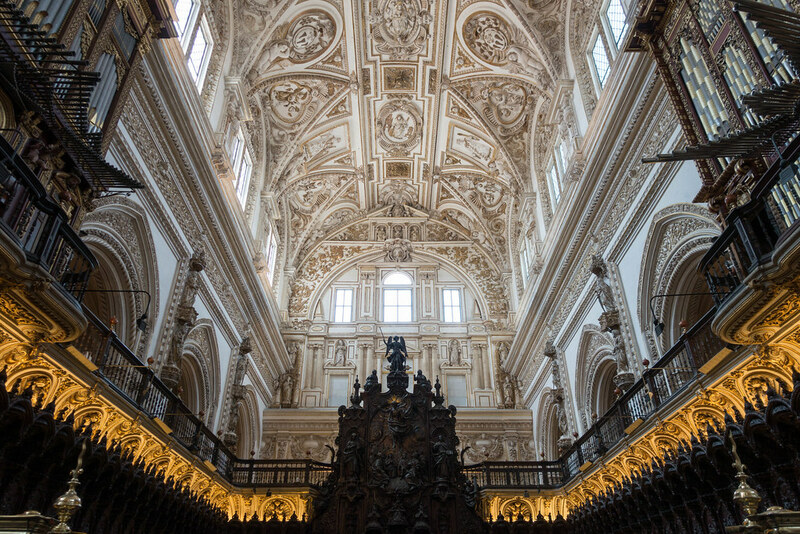 Enter through the tucked-away side entrance and you find yourself stepping into a vast, mostly open-plan interior, combining several sections built in different architectural styles. 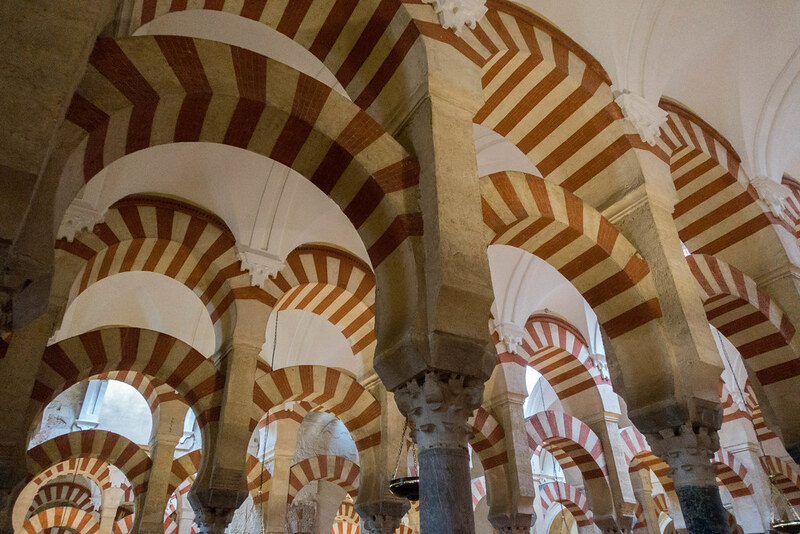 The Moorish red-and-white-striped arches fill the majority of the open space, stretching up and across the high ceiling, and making it feel like a forest of stone candy canes. 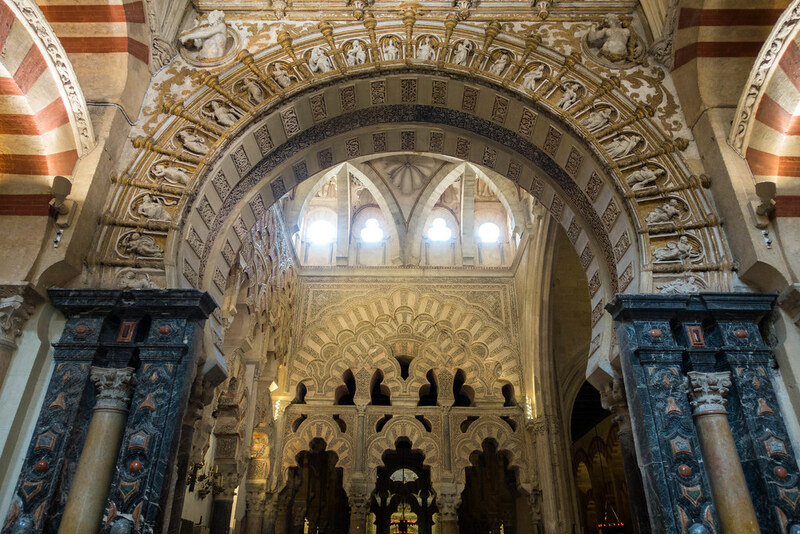 Standing at one end and looking across to the distant opposite wall, the arches seem to continue infinitely, as if they were an optical illusion. 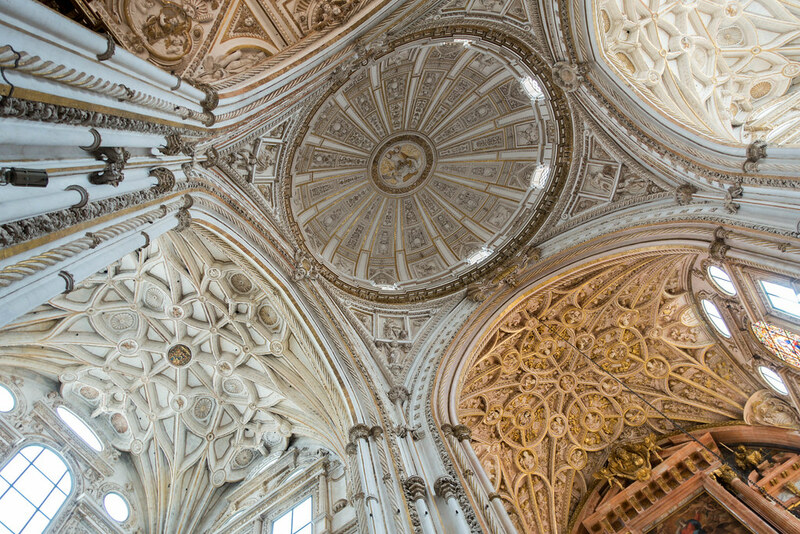 Other sections of the Mezquita are less unique, but perhaps more architecturally impressive. 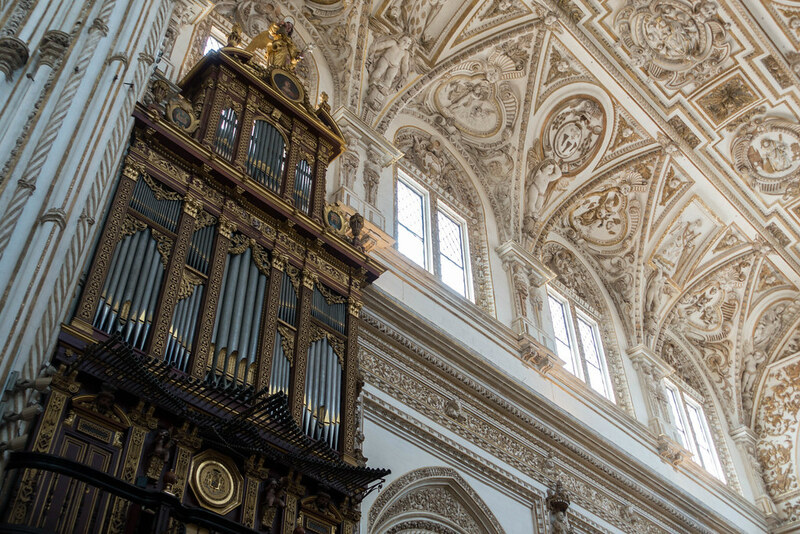 The central section takes the form of a Christian cathedral, its focal points two towering organs and a large, black altar. 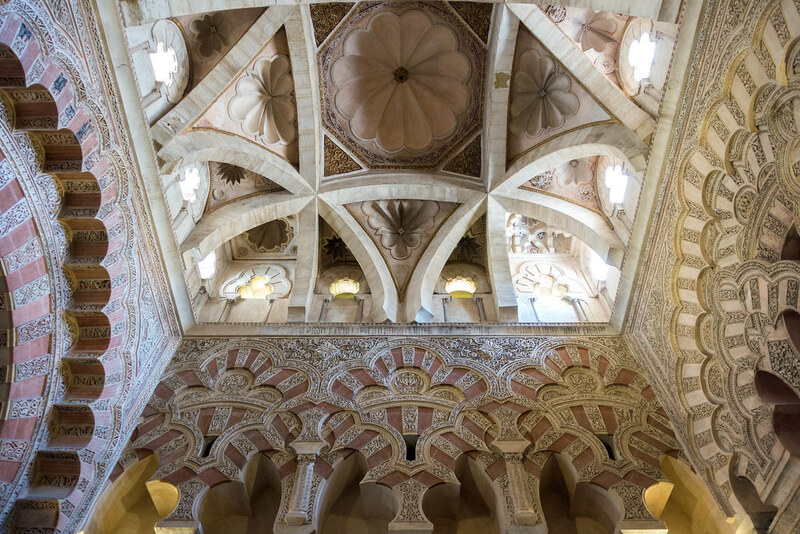 Its high domed ceiling combines a variety of beautiful, intricate patterns, their white and gold tones a world away from the bare stone of the Moorish sections. 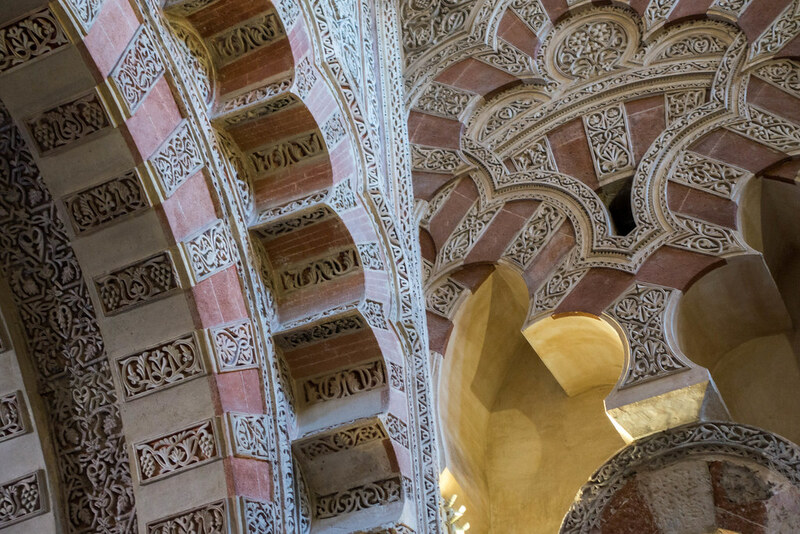 Other sections combine the colours and Arabic patterns of the Moorish style with the bright, polished look of the Christian style. There are new and beautiful shapes and structures wherever you look, and we endeavoured to seek out every one. 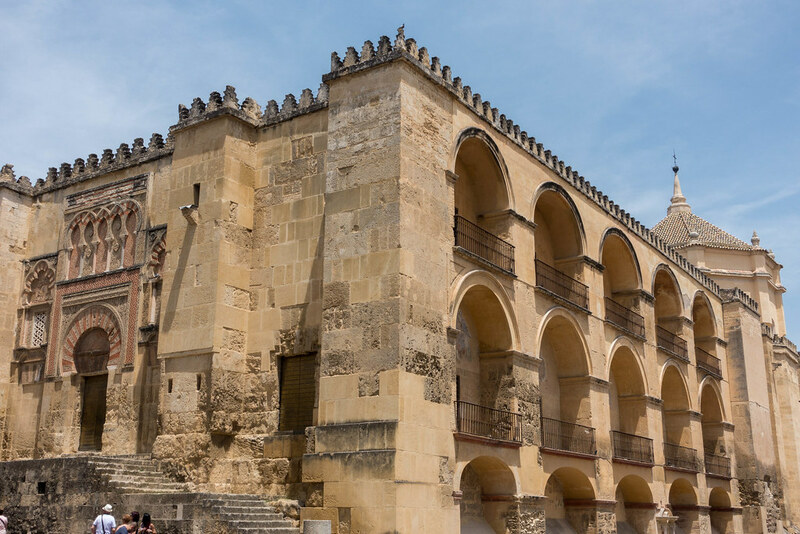 With limited time in Cordoba, we decided to prioritise the Alcazar de los Reyes Cristianos (Castle of the Christian Kings) second after the Mezquita. 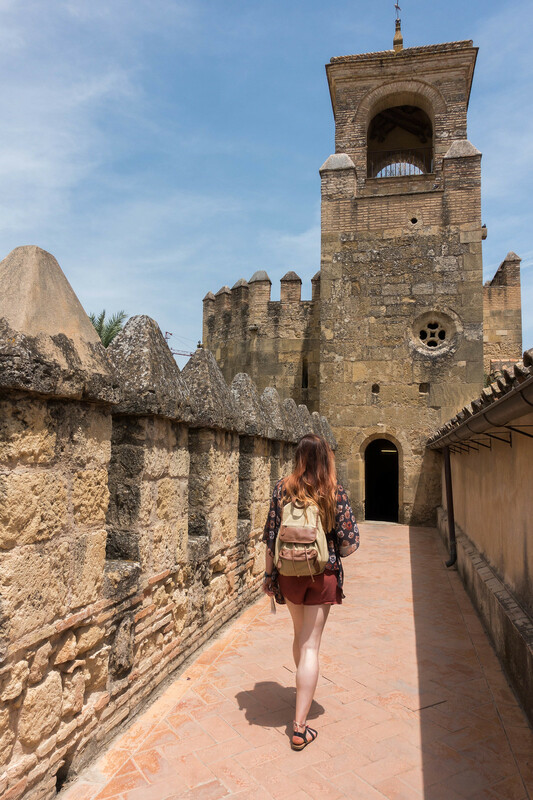 There’s not much to see in the castle itself besides a church-like room with tile mosaics on the walls. 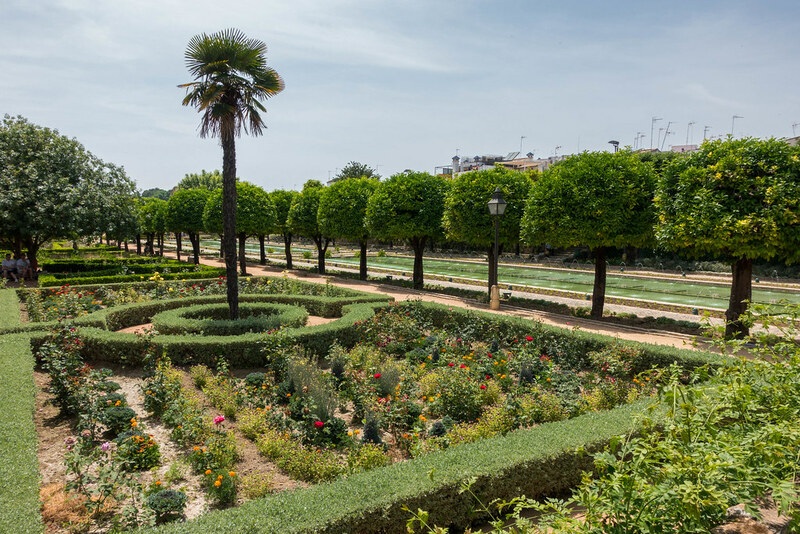 You can also access a small section of the ramparts, which offer some great views over the gardens and city. 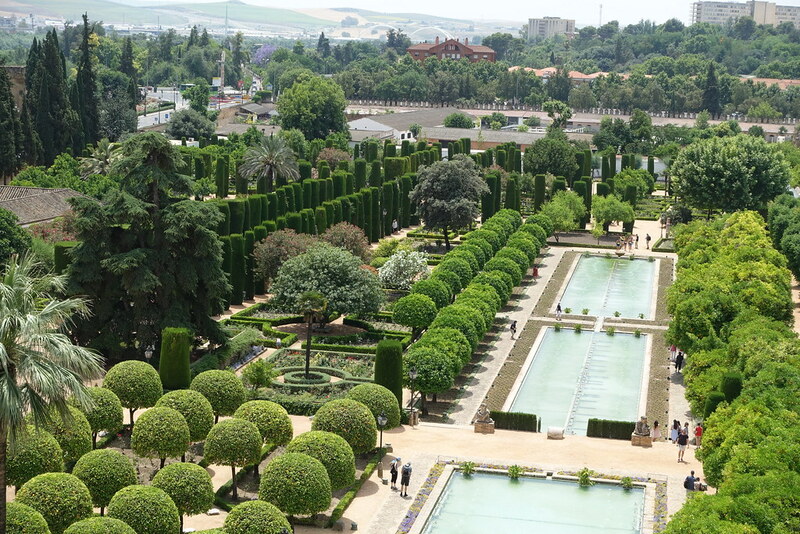 The main attraction of the Alcazar de los Reyes Cristianos is undoubtedly the garden. 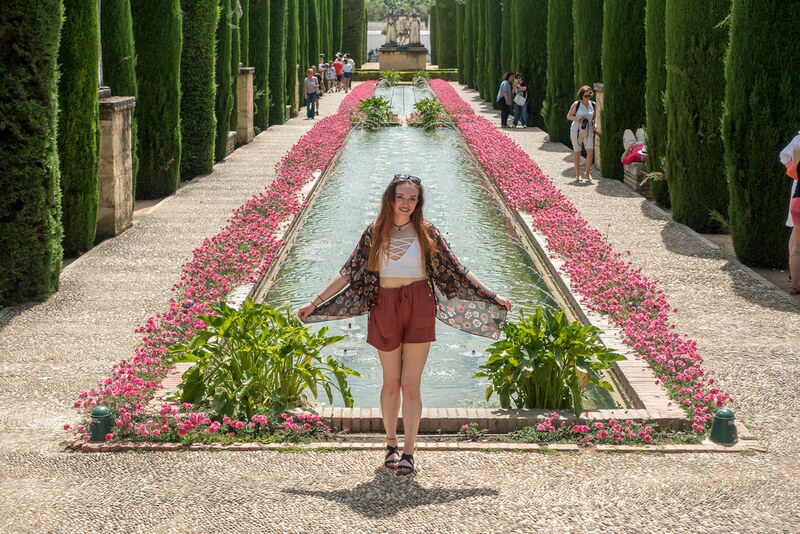 Though smaller and less architecturally adorned than those of Seville’s Alcazar, I felt they presented a more beautiful and more concentrated display of flora and water features than the larger gardens offered. 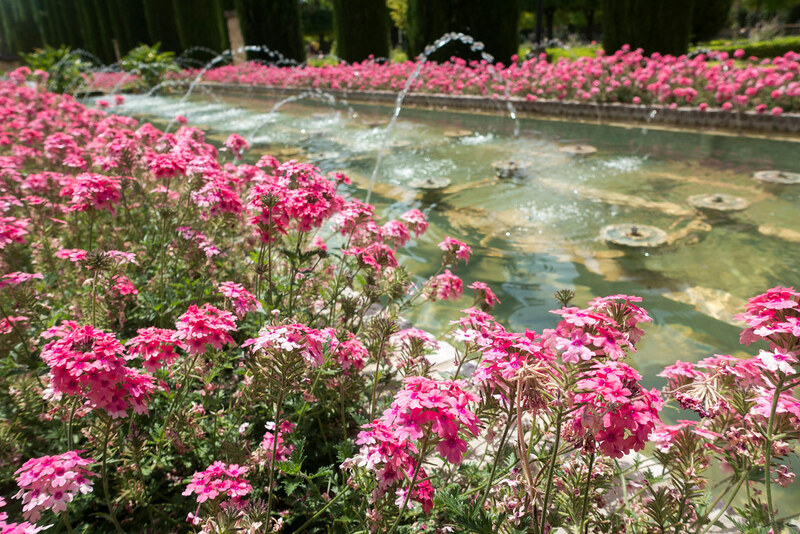 My favourite part, for prettiness alone, was the a long avenue of jumping water fountains bordered by little pink flowers. Elsewhere, a tucked-away courtyard garden filled with orange trees provided a birdbath that made the perfect camera stand, enabling us to take some cheesy photos of us both! 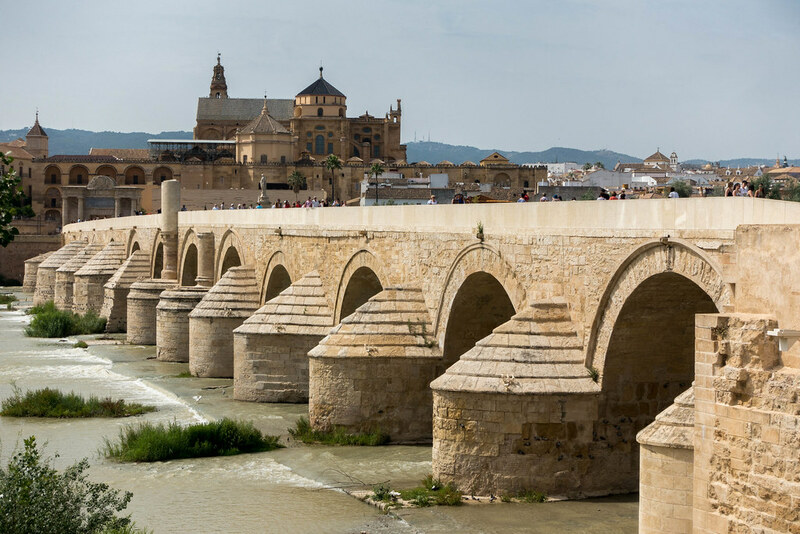 Our last stop of the day was Cordoba’s Roman bridge which, like Seville’s Alcazar, featured in Game of Thrones: with some help from CGI, it became the Long Bridge of Volantis (you can watch a video clip on andalucia.com). The high watchtower at the end was shut for the national spring holiday, so we made do with walking across the bridge and back. It was extremely hot, so at the other end I bought a refreshing slushy from a shack. We would have loved to stay the night in Cordoba and have seen more of the city, had the accommodation been more affordable, However, seeing as we couldn’t find anywhere for less than £100 a night, we made our way back to Seville and our ‘dream’ of a day ended with dinner at Cuna 2: a disappointing tourist trap of a restaurant, where we were served by the most miserable waitress I’ve ever met. We remedied this by sharing a cheap and cheerful McDonalds chocolate sundae for dessert, sat in the park near our Airbnb! 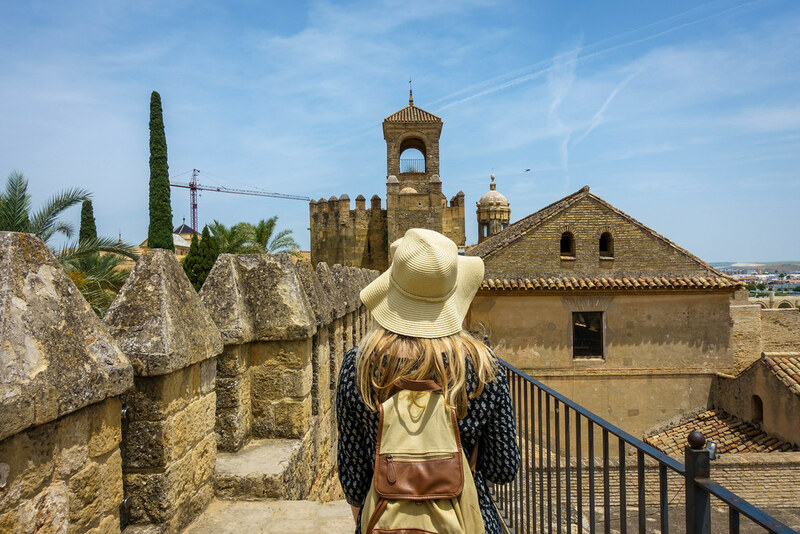 The following day we left Seville and caught the train to Granada, which I’ll detail in my next blog post. 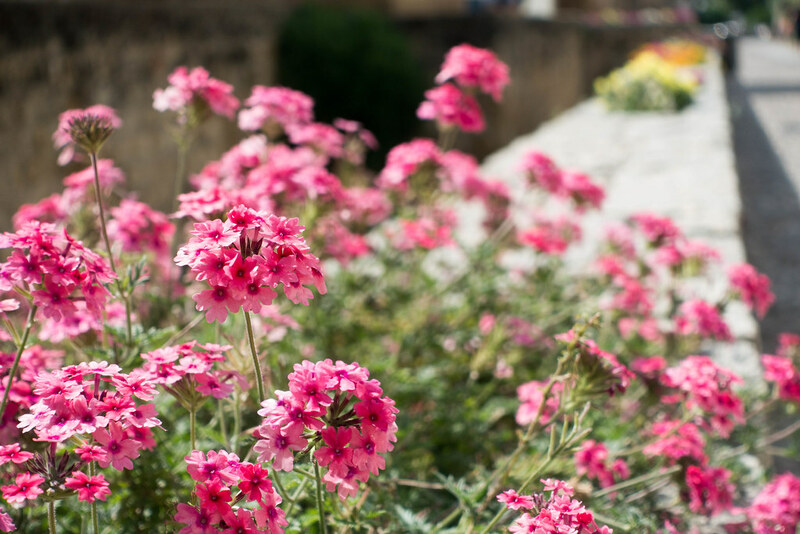 Subscribe to this blog or follow Roam with Juliet on Facebook to see when it goes live! All text and most photos (c) Juliet Langton; some photos (c) Tamasin Langton, May 2017. All rights reserved. 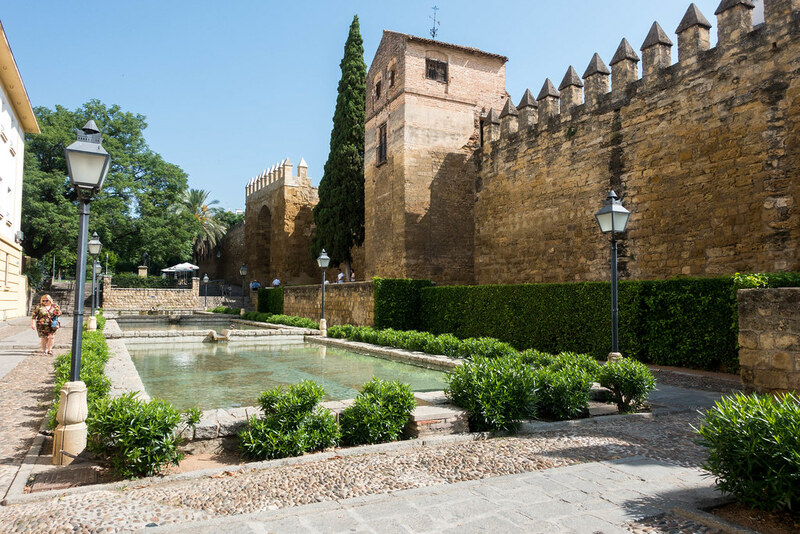 Posted in European cities, Photography, Spain, Travel, Western EuropeTagged Alcazar de los Reyes Cristianos, Cordoba, Mezquita, Roman BridgeBookmark the permalink.